Schaefer Glas develops, designs and manufactures glass products with highest demands, mainly through the process of blank moulding. We are specialists in working with glass for products requiring crystal, color glass and heat resistant borosilicate glass. We have excellent international references for our top quality. More than three thousand years ago, our ancestors discovered the magic of processing glass. Therefore, glass is one of the oldest known raw materials and is an integral part of our cultural history. Today, this unique material, which can be shaped and formed almost at will, while at the same time remaining highly resistant, is a completely natural part of our lives. In the daily use of this material, we rarely think about how many hands and how much devotion and time it took in the course of history to develop such precise and perfect products made out of glass. Glass is a direct expression of our culture. It reflects our lives, our desires and needs in the course of time. Glass is an indispensable and immensely versatile material, not only in domestic daily life, but also in technical areas, in medicine and in art. Making the extraordinary possible is our guiding idea. Our constant effort for decades has been to continuously improve our own performance, to expand our assortment with innovative products, and to modernize our production processes. Extreme care and precision are given top priority, especially for the challenges in modern medicine and technological fields. We are fully aware of our special responsibility and rely upon our highly qualified staff. 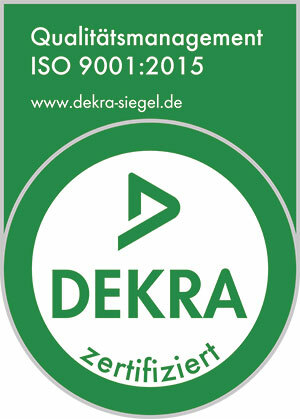 We were certified by Dekra according to ISO 9001:2015. In order to live up to our high quality demands and to guarantee our customers a consistently high quality level, we developed a special quality management system. We put together a manual on the basis of ISO 9001:2015. Every year an external auditor conducts an inspection.